Contribute : verb. 1. 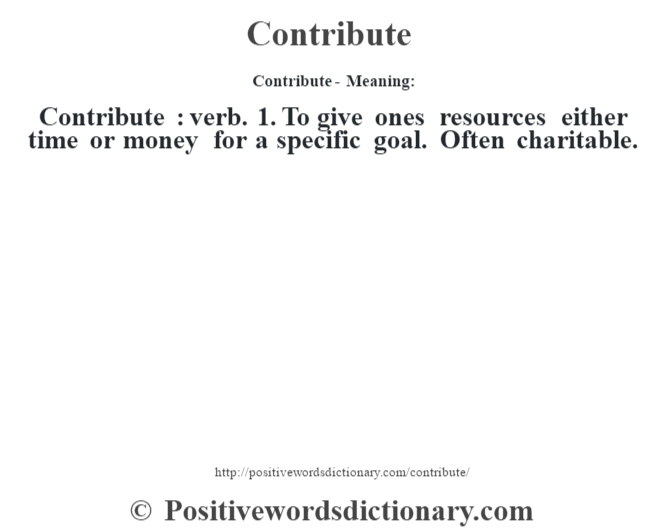 To give ones resources either time or money for a specific goal. Often charitable.